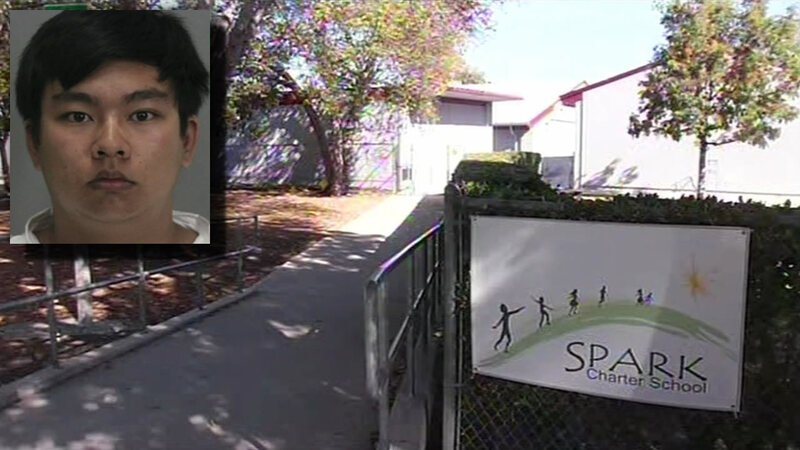 SUNNYVALE, Calif. -- A new principal has been appointed to a Sunnyvale charter school that was briefly closed last month when an investigation following the arrest of a part-time employee suspected of sexual assault found an employees did not undergo background checks. Spark Charter School's governing board appointed William Overton as principal and superintendent during its meeting Monday evening, replacing Danni Tsai, board president Alexandra Zdravkovic said in an email. Spark Charter opened in August and serves roughly 160 students in kindergarten through sixth grade at 739 Morse Ave., sharing a campus with Columbia Middle School. Overton's appointment, effective today, comes three weeks after the arrest of 18-year-old Jonathan Chow, a part-time lunch monitor and extended care teacher's assistant, Sunnyvale Department of Public Safety officials said. Chow, a Cupertino resident, was taken into custody Sept. 15 on the campus for the alleged sexual assault of an 8-year-old student earlier in the day, according to public safety officials. Two days later, the Santa Clara County Office of Education went to the campus and learned Spark Charter staff could not verify its employees went through background checks and tuberculosis tests, county Superintendent Jon Gundry said. The county office called on the school to close and meet the requirements as soon as possible or have their charter revoked, Gundry said. Spark Charter closed at the end of the day on Sept. 18 and reopened a week later after the county office determined the school corrected the deficiencies. Overton brings more than 35 years of experience from the Palo Alto Unified School District, where he was a teacher and administrator. He has been an educational consultant and presented on numerous topics including social-emotional learning, project-based learning and neuroscience in education, Zdravkovic said. "I feel fortunate to be working at a school that shares my vision for what the best environment is for kids to learn and thrive in," Overton said in a statement. Overton will be replacing Tsai, "who resigned last week to spend more time with her family and explore other opportunities," Zdravkovic said.